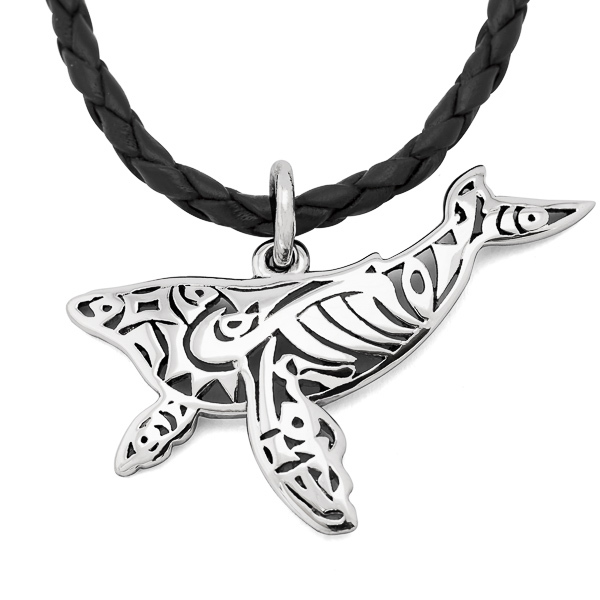 This handmade whale tail pendant is inspired by the distinctive fluke of the humpback whale. 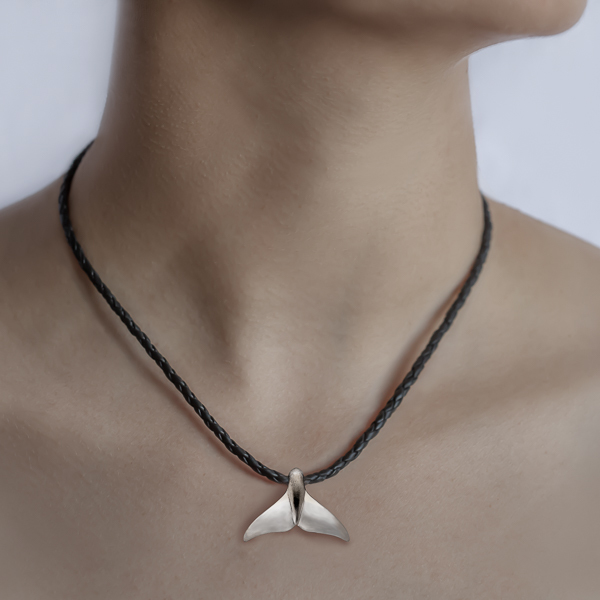 The textured center paired with the high polish shine of the tail fin creates a stunning combination of matte and glossy finishes. 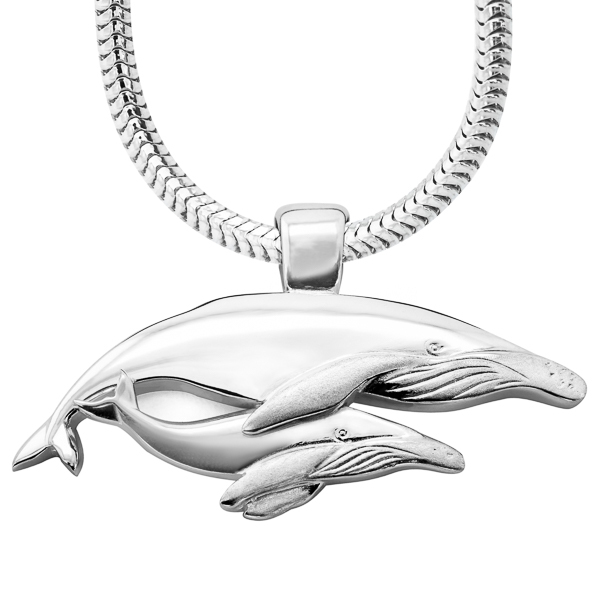 This simple, classic design is a great unisex pendant, suitable for both men and women.